A senior Muslim Brotherhood official who, until recently, had been employed by the William J. Clinton Foundation was arrested in Cairo on Tuesday and charged with inciting violence. Gehad el-Haddad served as one of the Muslim Brotherhood’s top communications officials until Egyptian security forces seized him as part of a wider crackdown on officials loyal to ousted former President Mohamed Morsi. Before emerging as a top Brotherhood official and adviser to Morsi, el-Haddad served for five years as an official at the Clinton Foundation, a nonprofit group founded by former President Bill Clinton. El-Haddad gained a reputation for pushing the Muslim Brotherhood’s Islamist agenda in the foreign press, where he was often quoted defending the Brotherhood’s crackdown on civil liberties in Egypt. He was raised in a family of prominent Brotherhood supporters and became the public face of the Islamist organization soon after leaving his post at the Clinton Foundation. However, much of his official work with the Brotherhood took place while he was still claiming to be employed by the Clinton Foundation. "It was only a matter of time before Gehad el-Haddad was arrested," Egypt expert Eric Trager told the Washington Free Beacon. "Many of the other Muslim Brotherhood spokesmen have been apprehended, and in addition to decapitating the organization, the military-backed government has been specifically targeting the Brotherhood's media wing, including by shutting down its T.V. stations at the time of Morsi’s ouster on July 3." "It has also gone after those connected to Morsi's presidential office, and Gehad's father is Morsi adviser and Muslim Brotherhood Guidance Office member Essam el-Haddad," noted Trager, a next generation fellow at the Washington Institute for Near East Policy (WINEP). El-Haddad’s father was a top foreign policy adviser for Morsi until both were apprehended by Egyptian security personnel. El-Haddad’s arrest sparked outrage among Brotherhood supporters, scores of whom have taken to the street in protest in the weeks since Morsi was removed from office and seized by the Egyptian military. "We are thinking about you and you are in our prayers," one supporter wrote on Twitter Wednesday. "Freedom for #gehad el haddad," tweeted another. El-Haddad served as the Clinton Foundation’s city director from August 2007 to August 2012, according to his LinkedIn profile. Just a month after El-Haddad left the Clinton Foundation to work full-time for the Brotherhood, former President Morsi was invited to deliver his first major speech at the Clinton Global Initiative (CGI), the high profile political family's other nonprofit. El-Haddad's employment at the Clinton Foundation overlapped with his official work for the Muslim Brotherhood, which began in Cairo in February 2012 when he assumed control of the Renaissance Project, a Brotherhood-backed economic recovery program. El-Haddad officially became a senior adviser for foreign affairs in Morsi’s Freedom and Justice Party in May 2011, when he was still claiming to be employed by the Clinton Foundation. El-Haddad was quoted in the Guardian newspaper in March 2012 as "one of the Brotherhood’s senior advisers." 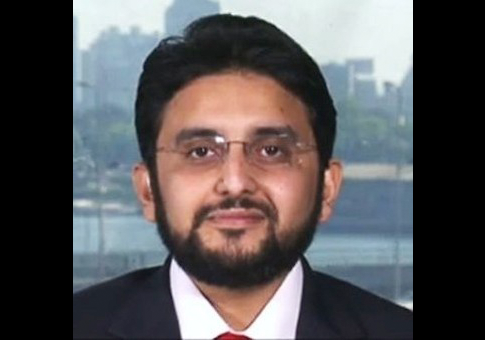 USA Today referred to him as "a senior adviser to the Muslim Brotherhood" in May 2012. El-Haddad was "charged with developing a long-term economic recovery program," known as the Renaissance Project, during his time as senior adviser. Egyptian media reported in July 2012 that the program was actually meant to bring the country more in line with the Muslim Brotherhoods extremist religious ideals. "Renaissance is far more than the electoral program of President Mohamed Morsi or the Brotherhood’s political wing, the Freedom and Justice Party," the Egypt Independent reported at the time. "It is a 25-year project to reform state, business and civil society, rooted in the Brotherhood’s Islamic values but conditioned by the experiences of the project’s founders in the modern economy." Haddad told the Independent that he applied the knowledge he learned at the Clinton Foundation to his work at the Renaissance Project. "The Clinton Climate Initiative taught Haddad about managing an NGO and the role that civil society takes between the state and private sector, lessons he is applying to the Renaissance Project," the report states. El-Haddad represented the Clinton Foundation’s Clinton Climate Initiative in Egypt during his overlapping tenure, according to his LinkedIn profile. He additionally "setup the foundation's office in Egypt and managed official registration," "supervised policy-making workshops & presented foundations views," and "presented projects to high-level government officials," among many other duties. El-Haddad left the Clinton Foundation in August 2012, two months after Morsi assumed the Egyptian presidency. He was appointed a "senior adviser and media spokesman" to the Muslim Brotherhood in January 2013 and served in that role until his arrest. El-Haddad regularly defended the Brotherhood’s authoritarian crackdown on civil society, even running damage control in December 2012 when Morsi supporters attacked women and children. When widespread Democratic protests broke out on June 30, El-Haddad referred to the demonstrators as violent thugs in an interview with the Free Beacon. "The anti-Morsi camp are providing a political endorsement to the violence," he said at the time. "Some have resorted to violence because they didn’t do well at the ballot box." El-Haddad did not respond to an email request for comment sent shortly after reports emerged of his arrest. The Clinton Foundation did not respond to multiple requests for comment on El-Haddad’s employment and arrest. Correction: A previous version of this story incorrectly stated that El-Haddad's work for the Renaissance Project began in February 2011. His work actually began in February 2012. This entry was posted in National Security and tagged Bill Clinton, Egypt, Middle East, Muslim Brotherhood. Bookmark the permalink.